Do you need a snack idea that tastes good and one that you can feel good about? 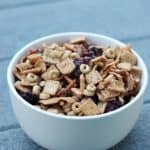 Our Cinnamon Toast Crunch Trail Mix tastes amazing and you’re helping out your local school at the same time. This is a sponsored post on behalf of Acorn Influence for Costco Box Tops. The Golden Box Tops Challenge is taking place at Costco. Select products of General Mills products are participating in the fun. The selected products are marked with 8 Box Tops available and additional prize packages by entering to win HERE. So now you can get your hands on your favorite General Mills products while earning box tops for your local school! 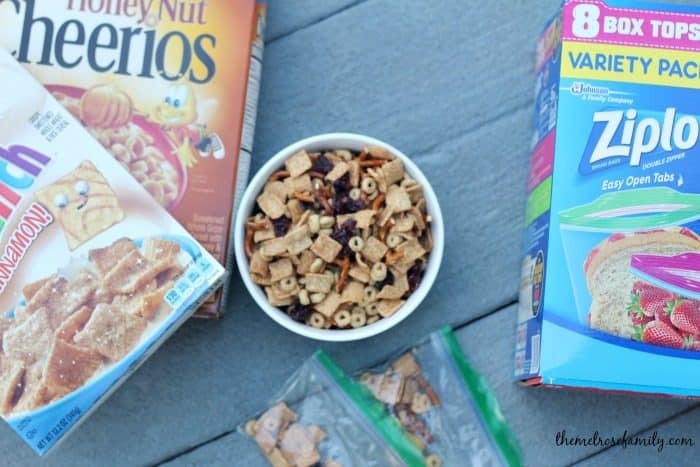 We combined some of the participating General Mills products, such as Honey Nut Cheerious, Cinnamon Toast Crunch and Ziploc Bags to make the perfect after school snack. With all of the running around that we have after school for gymnastics, dance and activities, we needed a trail mix that tastes good and keeps my girls going. They love the sweet and salty flavor combinations in this Cinnamon Toast Crunch Trail Mix. My favorite is definitely the dried cranberries. This comes together super quick and transports easily in Ziploc sandwich or snack bags. Ready for a different kind of trail mix? 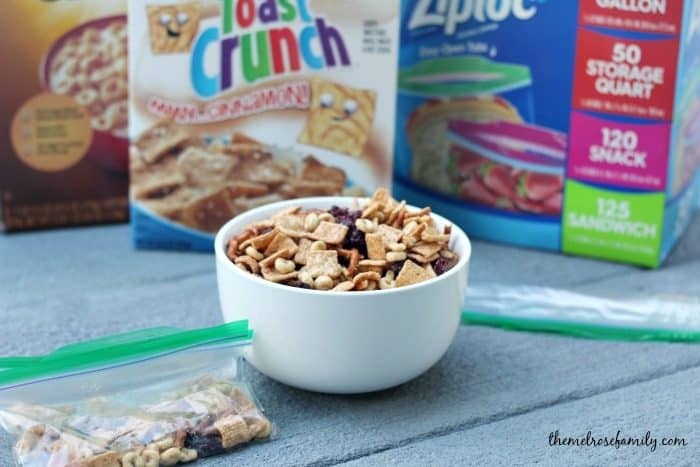 This Cinnamon Toast Crunch Trail Mix is the perfect snack idea that everyone loves. 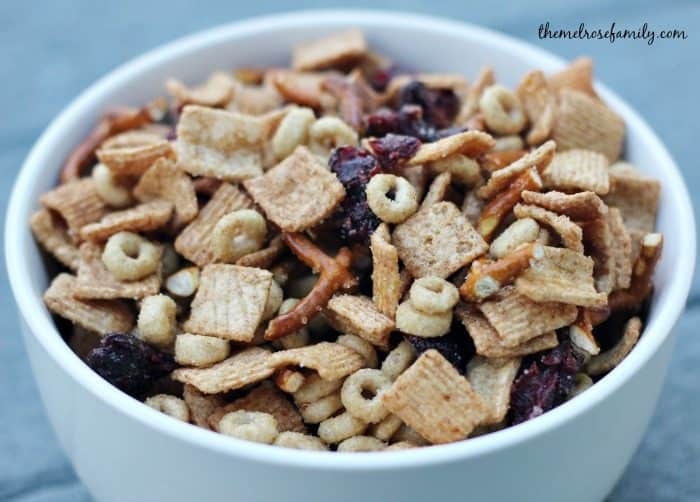 In a large bowl combine the Cinnamon Toast Crunch, Honey Nut Cheerios, dried cranberries, and broken pretzel pieces. In a microwave safe bowl melt the butter and combine the sugar into the melted butter. Pour the sugar butter over the trail mix and combine well. Keep in an air tight ziploc bag.